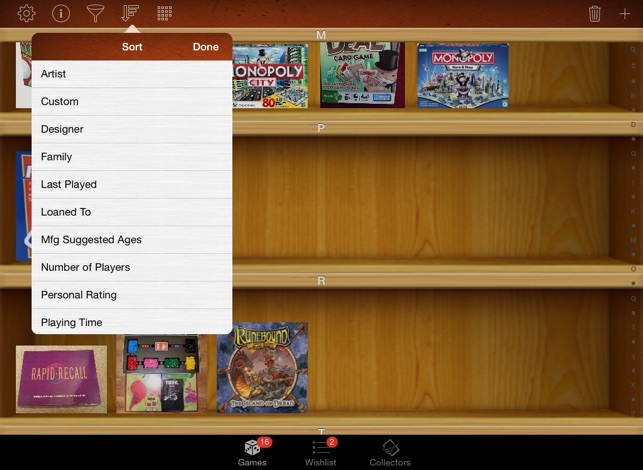 Quickly catalog, filter, sort, and manage all of the board games you own. View information, brand, and add personal details. All types of board games! 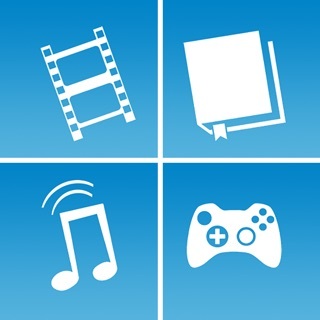 - Syncs with https://www.sortitapps.com/ so you can view your collection on the web. 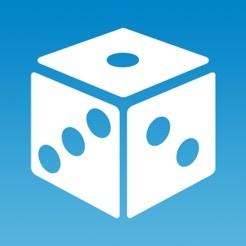 - Create a free account and store your board games collection list in the cloud online. Access from any iOS device any time! 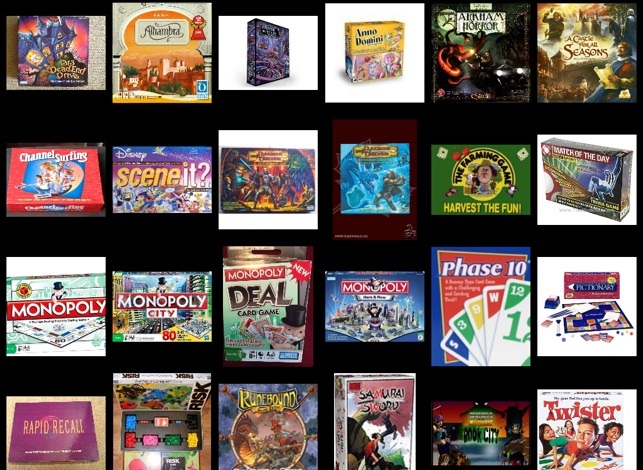 - Create a Wishlist of existing and new board games that you'd like to eventually own. 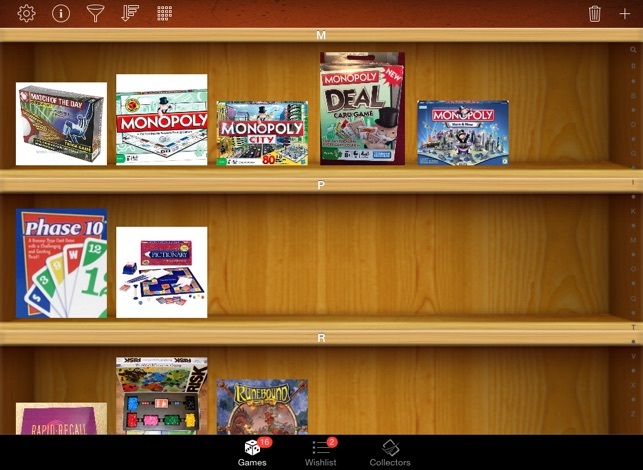 - A coverflow view to see all of your board games when you turn your device sideways. 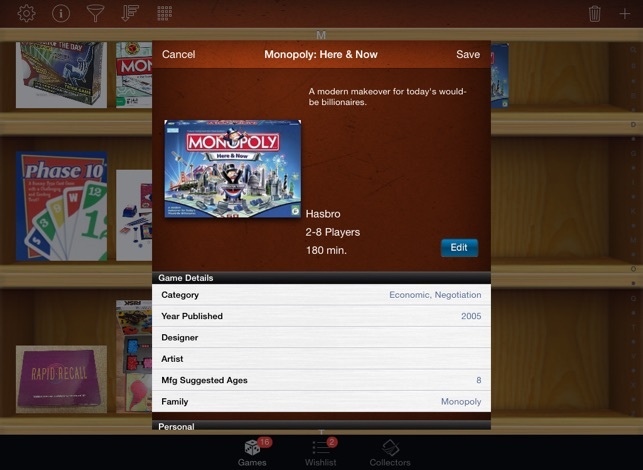 - Add your person details to board games: Purchase Price, Storage Location, etc. - Edit any board games details that are incorrect. All of our data is user driven so correct it as need and it will fix it for everyone! 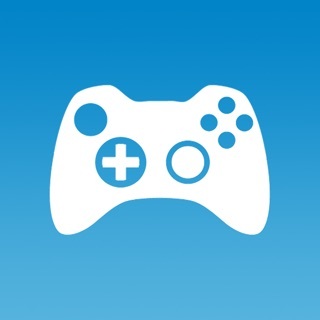 - Support for all game, year, brand, pieces, and more. - High resolution pictures for each artwork. Library is so bad it doesn't even have Ticket to Ride. Looks nice but you have to manually put in all information of your games. Blows!